I had a special delivery of 500 sent to Pastor Dana Dices house and we labeled a couple of hundred for distribution. It is very fitting that our first Badges & Boots tract was handed to two New York City Policemen that were sitting in their squad car on 89th Street between 202nd and 204th street in Queens, New York. We did not get to talk because they were busy working, but we did get the tract in their hands. During the same week we handed out tracts to Policemen and Soldiers in downtown Manhattan and near the Statue of Liberty. We had a pretty good reception from the Police. We also went down to the area where the Occupy Wall Street is going on! The Policemen in that area looked so tired and frustrated. I wanted to do something special for these Law Enforcement Officers, but we did not get to go back to this area during our trip. We saw a S.W. A. T. team deploying down in the Statue of Liberty area. No one got to give them tracts or talk with them because they were super busy. 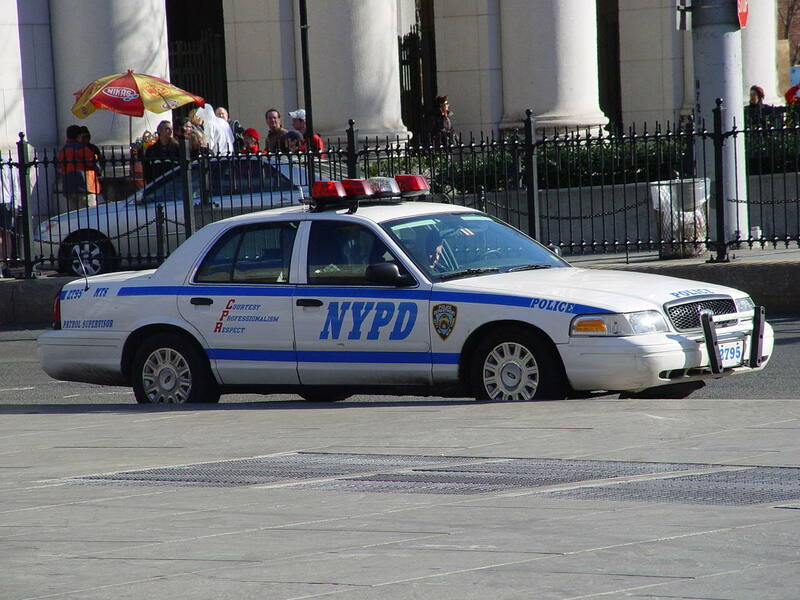 We appreciate the job that the Law Enforcement Personnel of NYC do keeping their city safe.